Since 1922, Missio has been the Catholic Church's official charity for overseas mission. It brings the hope of the Gospel where there is turmoil, poverty and uncertainty in the world, and where the Church is new, young or poor. Missio empowers local people to form and sustain communities of faith and it trains and nurtures future leaders so that the vital work of the Church in the world can take place. You might have known Missio as the APF or Society for the Propagation of the Faith, or simply the Mill Hill Fathers (Mill Hill Missionary Society).These groups have all come together under the Missio umbrella. Missio is the Latin word for Sending, or, Mission and is often seen in the phrase Missio Dei or the Mission of God. ﻿Missio Red Boxes can be found in over 200,000 Catholic homes in England and Wales with quite a few in the Parish of Our Lady of Mt Carmel. The pounds and pennies that are put into these boxes go to fund the vital work of the Catholic Church abroad, by bringing God's love and hope to the poorest and most in need. They are effective, raising over £2 million every year in England and Wales. It is easy to become a Red Box holder – you just need to contact the Parish Office or the Local Secretary, Steve Hindson, and we will give you your very own Red Box. Put it somewhere prominent in your home and invite guests to drop their spare change into it whenever they can. When your box is bulging simply bring it into the Parish Office and we will swap it for a new one. Alternatively you can empty the contents into one of the special envelope. If you can’t manage to get to the Parish Office, you can hand it to the Priest at Alvechurch, Feckenham or Hadzor and he will make sure it gets to us. 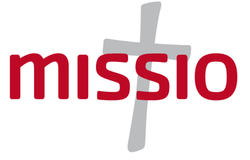 3 times a year Mission Today, the Missio magazines are left at the back of Church for Red Box Holders to collect. Then at the end of the year a Mission Calendar is left for you. There will be a notice in the Parish Bulletin each time there is something to be collected. The Local Secretary counts and banks the money directly into the Missio Account. A detailed track is kept of the money retrieved from the Red Boxes and the Parish Priest has to sign the Annual Return statement. Missio then distributes the money directly to the Church in the Mission Dioceses. Every penny collected goes to the missions. Missio money collected is wisely invested for up to 12 months before it is distributed, and the income from this investment pays the small overhead costs, enabling every penny collected to go where it is needed most.